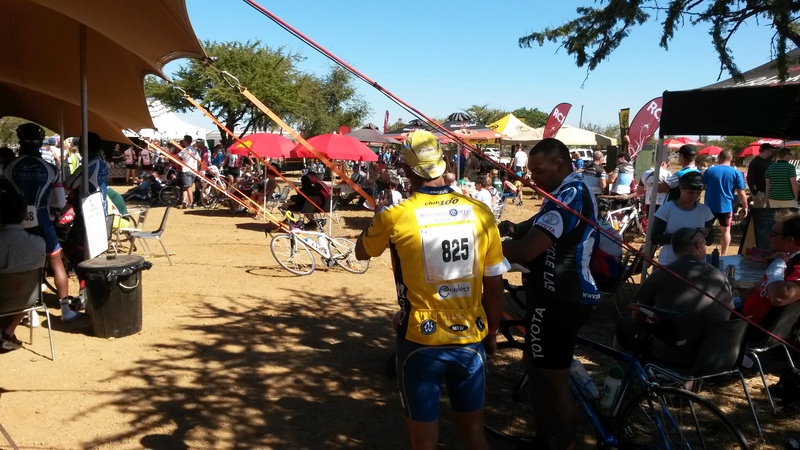 This weekend I rode the Sondela Bela Bela challenge which is a road race. Did 102 km in 4 hour 10 min on my mountain bike. This is my personal best for a tar road surface. This was my second race that I have ever done. To busy riding to take photos on the road. Here is a after photo. 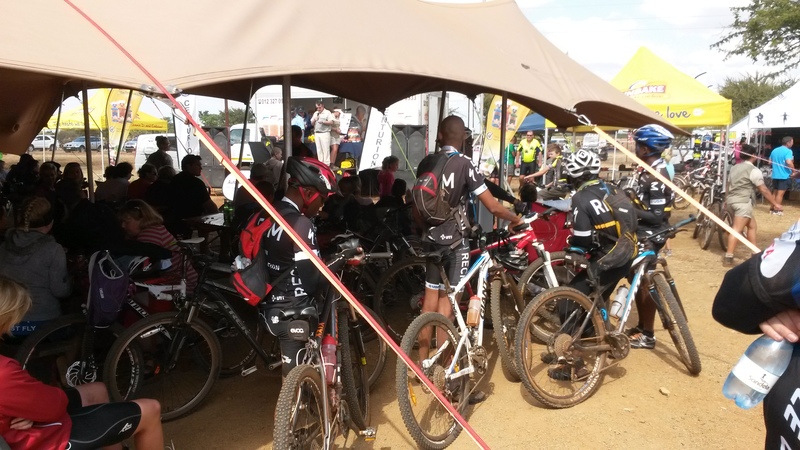 Then did the Sondela Bela Bella mountain bike experience of 40 km. 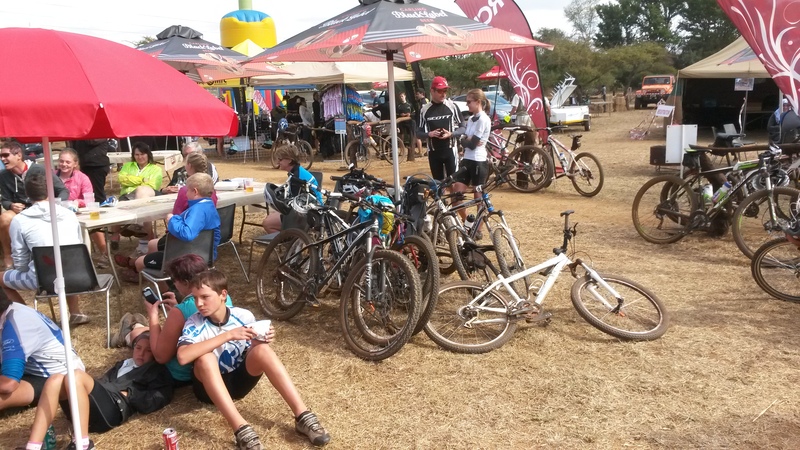 This was my first mountain bike race. 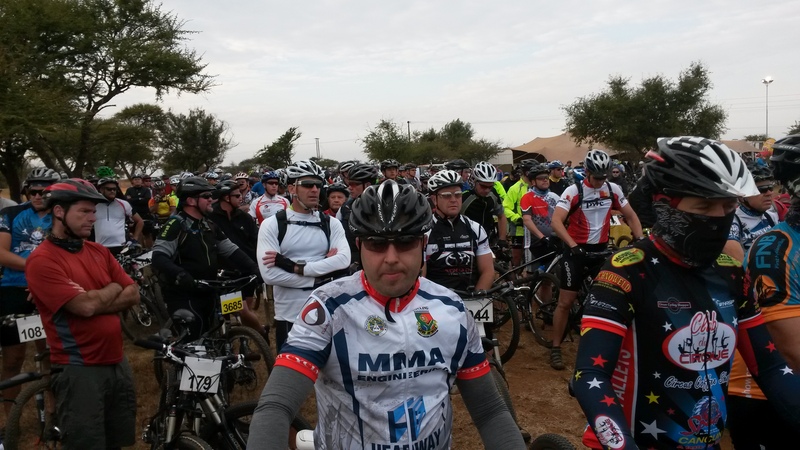 The course was flat snaking around in the African bush of the Nature reserve. Passing many wild animals on the way but was to busy negotiating the turns and sandy sections that I did not see any. This is a very well known reserve where you are allowed to do walking trails and cycling on your own. So I would recommend to come back and do the cycle routes at a much slower pace. They only have lions in a rehabilitation center.Well here is a photo of people gearing up and getting bikes ready outside the venue. Note the save the rhino shirt. Here is a photo of the start. Again was to busy negotiating the trail to take photos but here are some after photos. Must say the mountain bike riders are more friendly and laid back than the road riders. Finished the race in 2 hours and 10 minute time.This is unofficial at this time but is close enough for me. 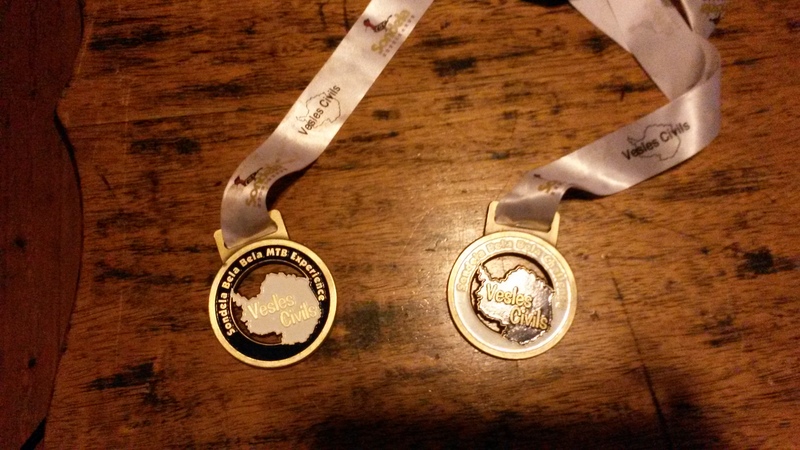 Here are the two medals to prove it. Is there anybody that has done this race and what do you think of it? 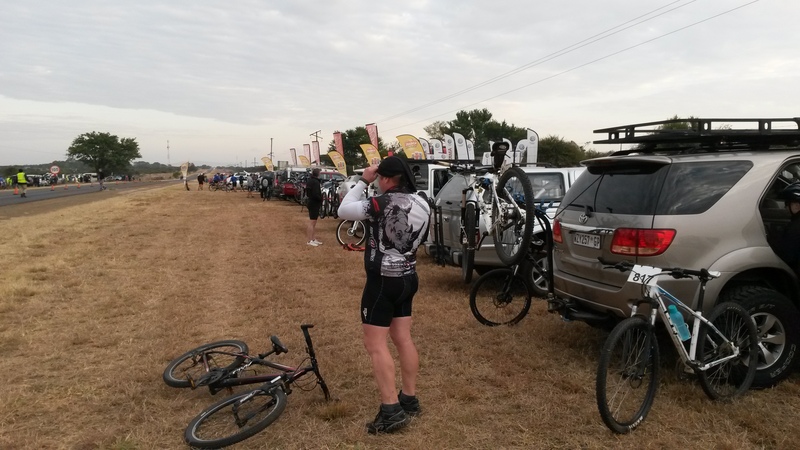 This entry was posted in Bicycle adventures, Bicycle riding and tagged Sondela Bela Bela cycle challenge, Sondela Bela Bela MTB Experience by krfarmer. Bookmark the permalink.